On September 10, the Tufts University Art Gallery in Medford, MA (Boston) will open its Fall season with a must-see exhibition entitled “Sacred Monsters: Everyday Animism in Contemporary Japanese Art and Anime.” The show examines representations of mythical spirits, gods and other mutant, sentient beings in contemporary Japanese art and film as expressions of animist belief, through fine art and film. 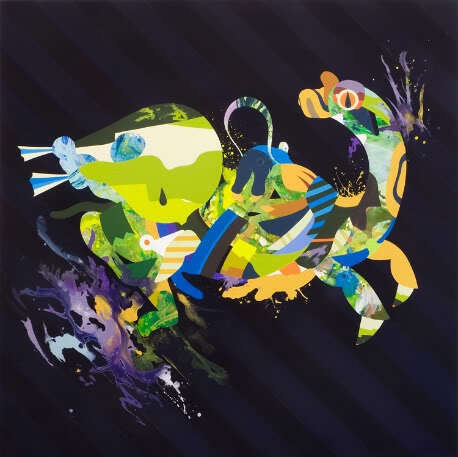 Eight emerging and mid-career artists have contributed art work, including friend of AM, Tomokazu “Matzu” Matsuyama (interviewed), and Kaikai Kiki artists Chiho Aoshima and Mr. In addition, “Sacred Monsters” will include screenings of classic anime feature films, such as Katsuhiro Otomo’s “Akira,” and Miyazake’s “My Neighbor Totoro,” “Princess Mononoke” and “Spirited Away.” The exhibition will be on display from through November 22 in the Tisch Gallery. Categories: Art, Contemporary Art, Previews, Shows & Events. Tags: Anime, Chiho Aoshima, Contemporary Art, Kaikai Kiki, Mr., Museums, Shows & Events, Tomokazu Matsuyama, Tufts University.